Continuing the exploration started by our Sun Ra Mixtape Series celebrating the influence of the Philadelphia, visionary musician, philosopher, composer and band leader, Sun Ra, Philadelphia Jazz Project present, Satellites Are Spinning: A Sizzling, Sonic Celebration of Sun Ra. This concert series features 8 performances at some of the region's most important venues including; The Barnes Foundation, Ardmore Music Hall, Johnny Brenda's, The Planetarium of The Franklin Institute and World Cafe Live. Hosted by WRTI radio deejay, J. Michael Harrison. 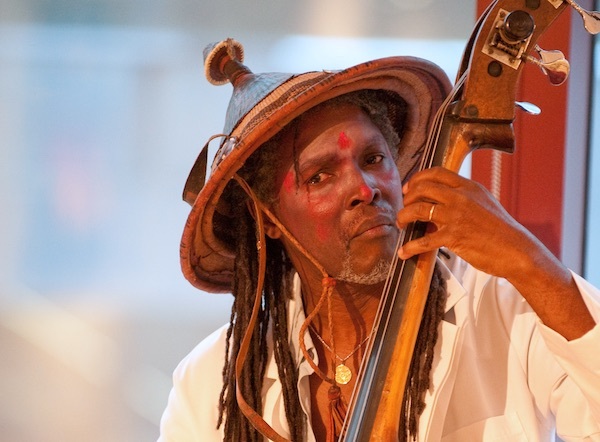 PJP spoke with bassist and composer Bert Harris who will serve as musical director for the third concert of the Satellites Are Spinning Concert Series. 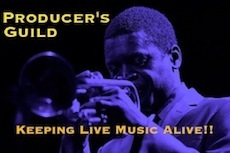 Bert Harris: My musical direction is the direction of the music I am creating and playing. The beauty of this Sun Ra project is a chance to explore this master's depth and put a personal stamp on his great compositions. Bert Harris: Can't deny I started with James Brown. His basslines still mesmerize me. Music that makes you move is always my biggest influence. It's why I love African music, NOLA music and Latin music. The African sound diaspora is my biggest influence. PJP: Tell us about the mixtape series that inspired this concert series. Bert Harris: There's so many creative and talented artists on PJP's Sun Ra Mixtape Series. We are all fortunate to have this opportunity to create a unique soundscape of Sun Ra's music. When Homer Jackson of PJP came to The Eye2Eye Trio with an idea for recording Funkadelic's, classic tune, "Maggot Brain," it really got our creative vibes flowing. We took it to some other place. PJP: Tell us about the Satellites series. 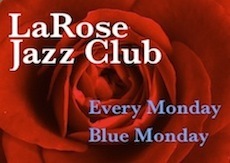 What are you planning to present at the Ardmore Music Hall? Bert Harris: You will hear some Sun Ra's tunes done through the lenses of Afrofuturism. The music of other artists are featured in this concert as well, but we don't want to give it all away. Bert Harris: No disrespect intended, but Sun Ra was Afrofuturism long before the term became common. It all came together in his vision and his music. PJP: Who is working with you on this? Bert Harris: A whole heap of folks will be joining the Eye2Eye Trio of Kim Pedro, Elliott Levin and me.. it's been great to meet and collaborate with so many different musicians. Folks like guitarist and Sun Ra Arkestra member, DM Hotep, alto sax man Larry Price, trumpeter Matthew Stewart, keyboardist and vocalist V. Shayne Frederick, rapper and producer Twizzmatic, bassist Matt Engle, vocalist Jakeya Sanders, poet Alonzo Jennings and others. Bert Harris: Just let the music be in you... like a breath. 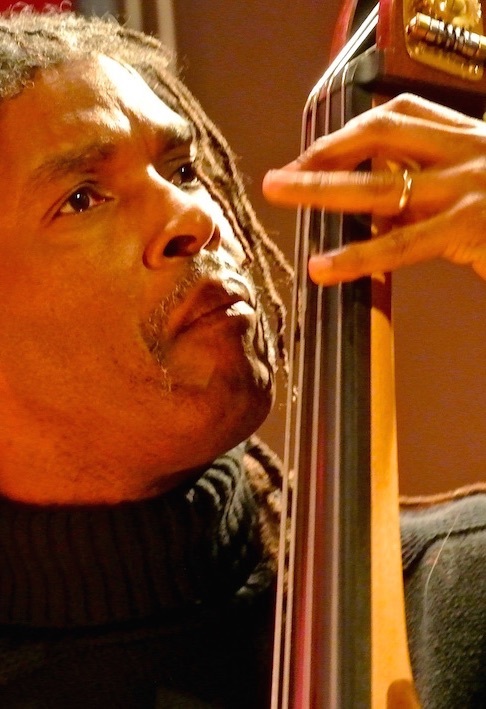 Bert Harris: There's so much that a bassist can do with Jazz, That's one of the primary reasons I love Jazz. The bass can go anywhere, ...follow, or take other's along on your ride. Check out The Eye2Eye Trio featured featrured on PhillyCAM. 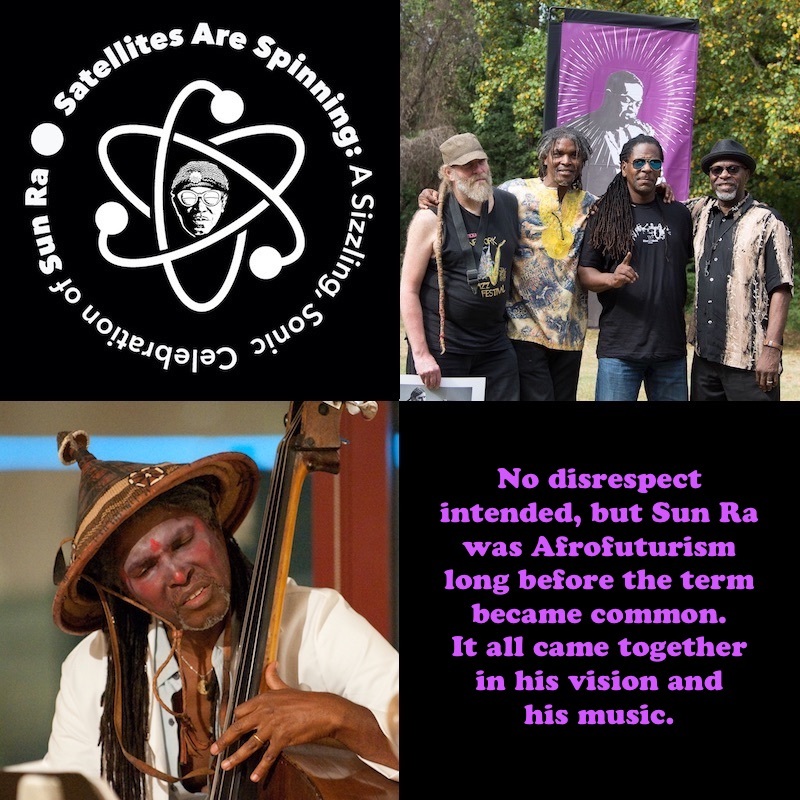 Special Thanks: The Sun Ra Estate, Irwin Chusid, Michael Anderson, J. Michael Harrison, Kim Pedro Rodriguez, DMHotep, Antoine Haywood, Gralin Hughes, James Solomon, Nija Walker, Bobby Zankel, Jay Levin, Agent Zero, Eric Bogacz, Alex Santilli, Gary Dann, Anthony Tidd, Dmani Lopez, Dan Blacksberg, V. Shayne Frederick, Asha Jackson, Julia Lopez, Melissa Talley Palmer, Gail Fountaine, Stephanie Seiple and Rich Nichols. Stay tuned for details about this series!! !